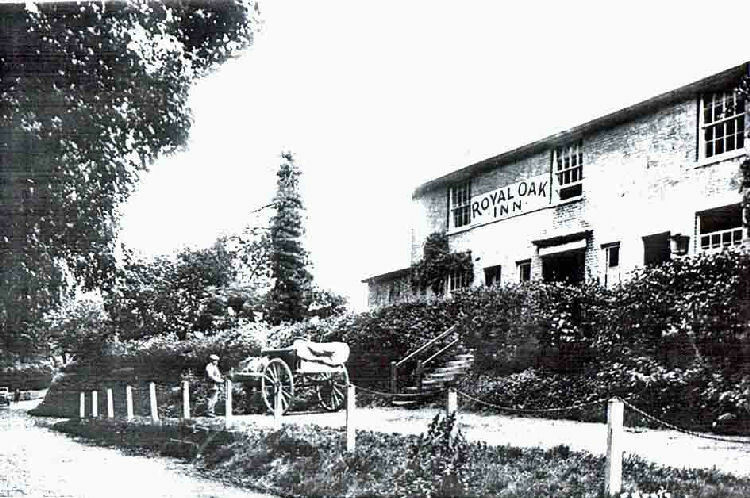 Above picture shows the Royal Oak circa 1920. 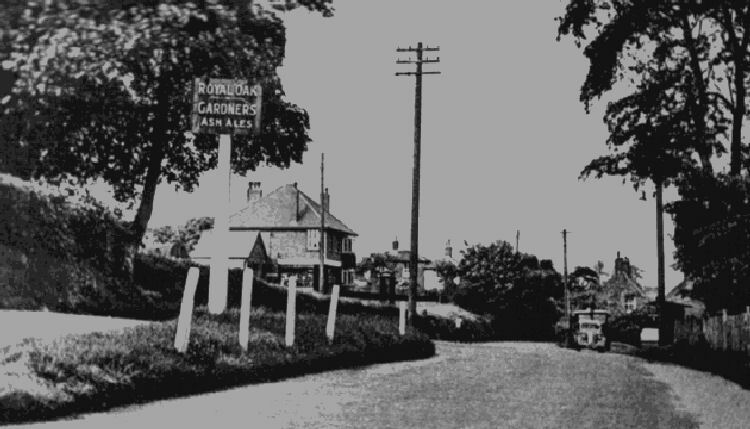 Above 2 pictures shows the Royal Oak circa 1940. 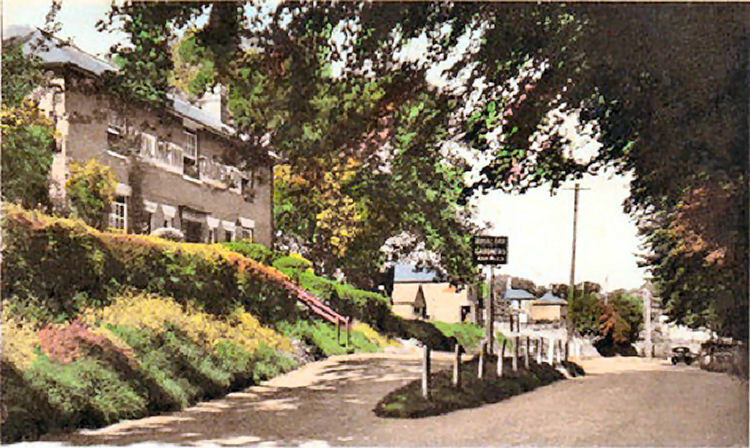 Above picture shows the Royal Oak 1950's. Above postcard, circa 1949, kindly sent by Rory Kehoe. Above photograph circa 1960, kindly supplied by Terry Wheeler of the Ramsgate Historical Society. Above photo taken 11 June 2011. Royal Oak sign July 1991. Above photos by Paul Skelton 10 August 2007. 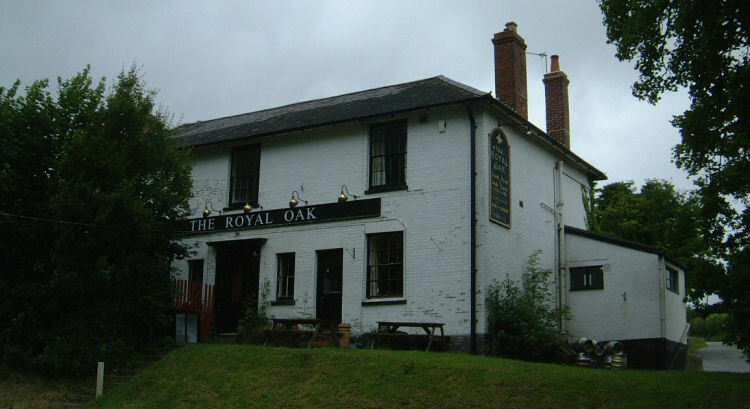 The Royal Oak, in the Drove, lower Holt Street, sometimes Old Street, Nonington. 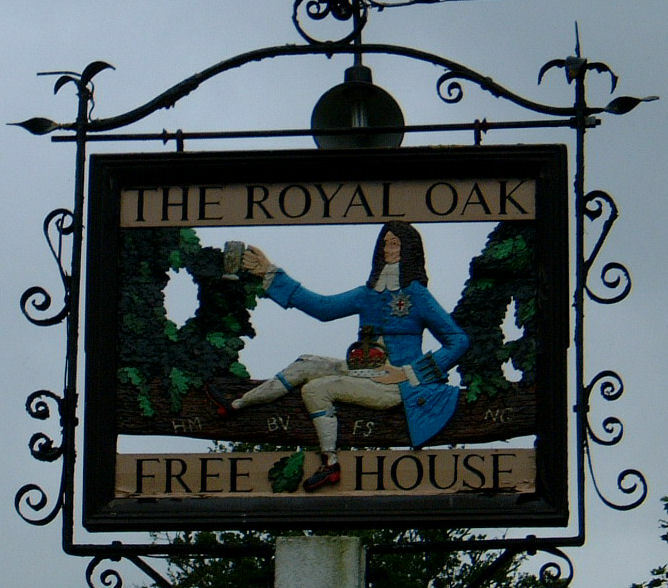 "The Royal Oak" is now the only public house in the modern parish of Nonington and the most recently licensed of the alehouses that could once be found in the parish of Nonington. William Wanstall junior had been the last licensee of "The Hawks Head", formerly "The White Horse", over the hill from the Drove, as lower Holt Street is still known, next to the church in what was then part of Church Street, now Pinners Lane. This alehouse had closed in March, 1832, and it was not until the yearly Wingham licensing sessions in September, 1832, that he was given a licence for the newly built "Royal Oak". Alehouses at this time opened at six o'clock in the morning and closed at ten o'clock at night. With the granting of the licence he became liable to pay the Parish Poor Rate on the premises which were owned by J. P. Plumptre, Esq., of Fredville. Wanstall's father, William Wanstall senior, was the Parish Clerk in the mid-1830's and was for many years listed in parish records as a shoemaker and cordwainer initially with a house and shop premises in Easole Street but later moving to premises in the Drove now known as now the Old Post Office which adjoin the southern end of the present pub garden. 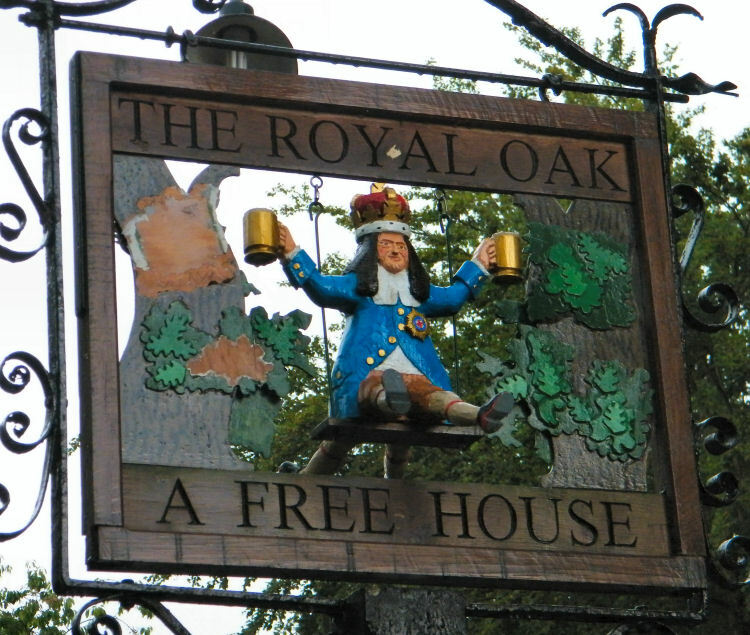 "The Royal Oak" became the venue for the fortnightly meetings of the Parish Vestry, an early form of the Parish Council but with much more responsibility for parish affairs, which had for many years, until its closure, previously met in “The Hawks Head”. These meetings normally began at “eleven of the clock in the forenoon” and decided on such important matters as raising revenue through parish rates for the administration of the Poor Laws and the maintenance of the roads within the parish. 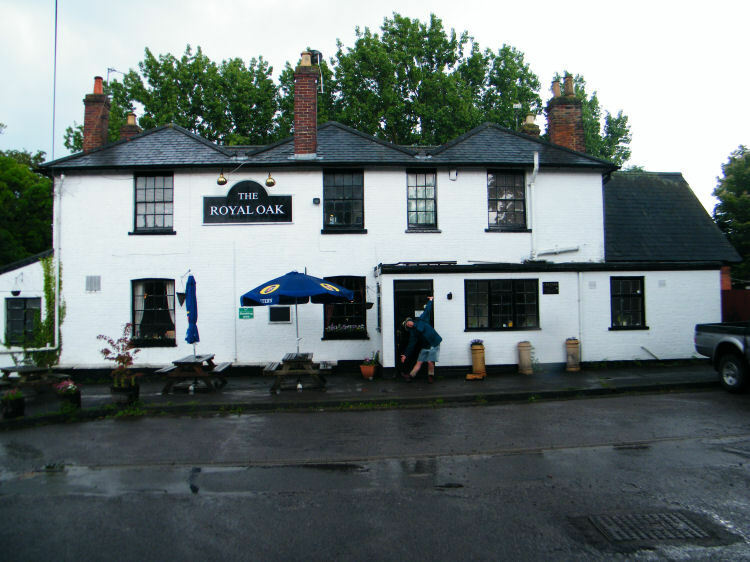 William Wanstall was followed by John Hopper, who had previously been the landlord of "The Redd Lyon" at Frogham which was also owned by the Fredville estate, became licensee of "The Royal Oak" on November 1st, 1836. The next landlord of the premises was John Nash, who took over in 1845. In addition to being the pub landlord he was also the receiver of mail as the “Oak” was not just an alehouse and public meeting place but also served for a time as the parish post office. Prior to its closure “The Hawks Head” would have fulfilled this function. 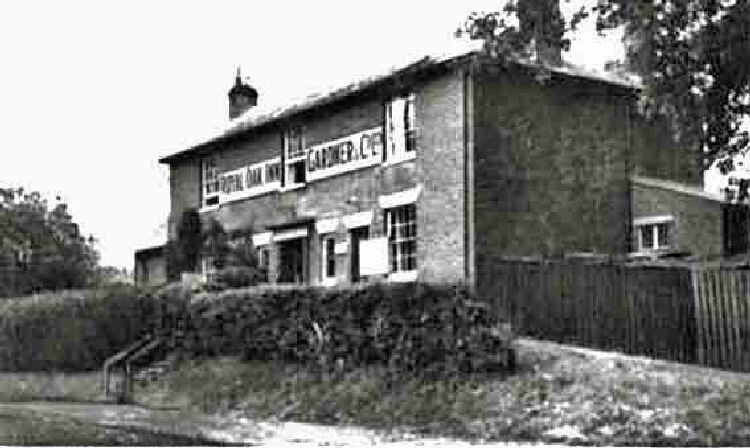 The landlord of the "Oak" served as the local post master during the 1840's and 50's until other premises came into use. John Nash's widow, Harriet, took over as licensee on his death in 1855 and ran the pub until handing over to Leonard Woodruff in 1870. He in turn was followed on his death by his widow Fanny Charlotte Woodruffe. 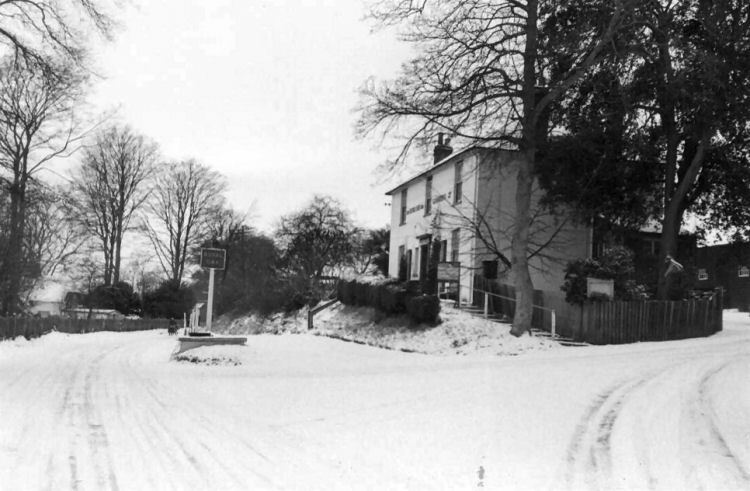 In his memoirs taken down 1936 by Dr. Hardman, a local historian, Richard Jarvis Arnold, born in the parish and resident there in the 1880's and 1890's recalls: “The public houses were the Royal Oak (here Dr. Hardman noted that the pub had "Since been rebuilt") kept by Woodruff and the Walnut Tree beer house kept by Sheaf”. This note by Dr. Harman indicates that the "Oak" underwent alterations at some time from the late 1890's to the early 1930's when the memoirs were taken down. These must have been mainly internal as the building appears to have retained its original external features including windows and doors. In January 1987 the ground floor interior underwent extensive alterations, with the unusual horse-shoe shaped bar installed during the previous alterations being replaced. In 1876 the widowed Fanny Woodruffe married James Stow who became the new landlord and continuing as such until his death in 1896 when the again widowed Fanny Charlotte Stow held the licence in her own right for the second time until giving it up in 1899, the new landlord being William Henry Sayer. In 1918 a cycle repair and taxi service was opened in stable buildings to the rear of the pub by W. Sayers, the land lords nephew. When the business expanded to include motor vehicle repairs and fuel sales he moved it to the present garage premises in Holt Street in 1926, previously a laundry, where he continued to run the business until he was succeeded on his retirement in 1948 by his nephews, Charles and Arthur Betts. Since Arthur's retirement the business has been run by his son, Terry. Subsequent landlords included Arthur Balcombe, landlord during the Second World War and who's daughter, Margaret, married my uncle, Frank Webb. Reg Deal and Reg Reynolds, who's daughter Coralie still lives in the parish, were landlords during the 1950's followed by Tony Usher and Nick Larsen during the 1960's with Nick leaving in 1975 to be followed various managers who included Nigel Turnbull and John Nicholson. Roy Faye became licensee at the end of the 1970's with Peter Addis, since retired, taking over from him in 1988. Until the early 1960's the ‘Oak' also had a tea garden, serving teas to cricketers and the general public in a building at the end of the garden. For many years it was the ‘local' for students at the nearby Nonington College of Physical Education until its unfortunate closure in the mid-1980's. 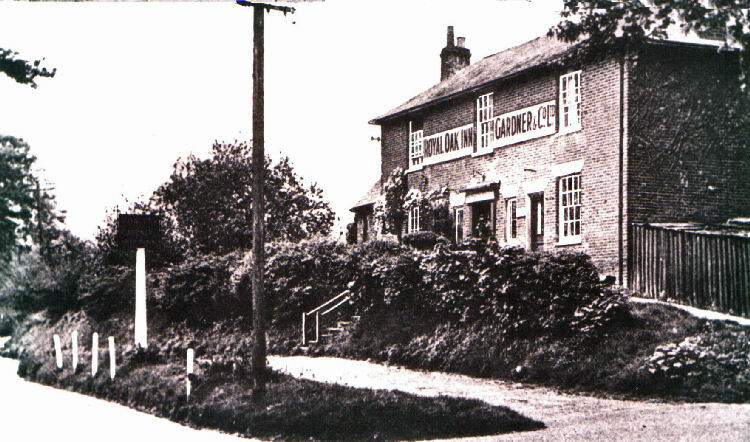 Over the years the pub was leased by various brewers including; Gardeners Ash of nearby Ash, Thompson & Wootton and Whitbread, who eventually returned the lease to the Fredville estate so that the "Oak" is now a "free house". As in every other parish in the country there were also beer houses in Nonington. These were small premises, often someone's kitchen, where beer was sold for consumption off of the premises. Water supplies were often not safe to drink so "small beer", low in alcohol, was drunk instead. Kentish Gazette - Tuesday 18 October 1836. THE ESTATE OF WILLIAM WANSTALL THE YOUNGER. NOTICE. All Persons who have any claims or demands on the Estate of William Wanstall the younger, of Nonington, in the county of Kent, Victualler, who hath executed a deed of assignment for the benefit of his creditors, are desired, within one month from the date of this notice, to send an account thereof to Mr. Chalk, Solicitor, Dovor. And all persons who stand indebted to the estate of the said William Wanstall are requested to pay the amount of their respective debts to Mr. Chalk, who is duly authorized by the assignees of the said William Wanstall to receive and give discharges for the same. Solicitor to the Assignees. Dovor, Oct. 18, 1836. Kentish Gazette, Tuesday 18 October 1836. ON THURSDAY, the 20th of October. 1836, the HOUSEHOLD FURNITURE, GLASS, CHINA, &c. the Property of Mr. WILLIAM WANSTALL, sen. in the Parish of NONINGTON; consisting of four-post bedsteads nnd hangings, feather beds, mattresses, blankets, and counterpanes; mahogany double and single chests of drawers, dressing tables and glasses, night chair, mahogany wardrobe, mahogany dining, Pembroke, ten, and card tables, mahogany and painted chairs, beaufet, Kidderminster carpets and hearth rugs, mahogany bureau, eight-day clock, pier glass, register and other stoves, fenders and fire irons, bed and table linen, a variety of glass and china, kitchen and washing utensils, beer casks, kneading trough, plate rack, meat safes, brine tubs, dairy utensils, mangle, and many other useful articles, which may be viewed on the morning of sale. Sale to commence precisely at Twelve o'clock. Kentish Gazette. Tuesday 28 February 1843. 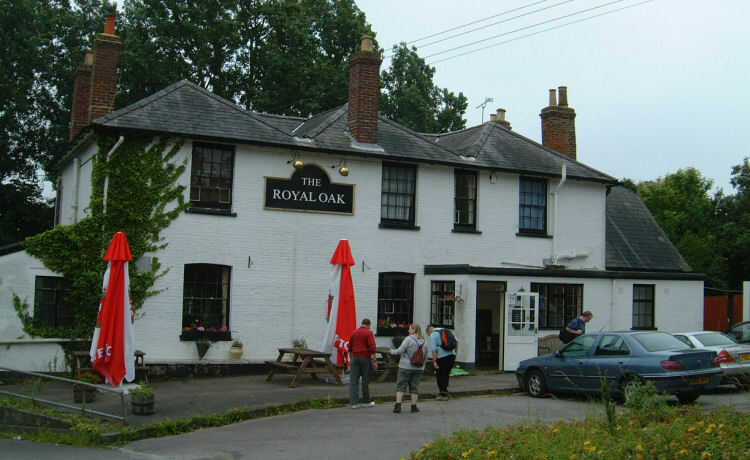 The 3rd annual meeting of this Association took place at the "Royal Oak Inn," Nonington, on Thursday, 16th instant, where the accounts were audited, and the officers and committee were unanimously re elected. The members sat down to an excellent dinner at 4 o'clock, provided by Mr. Nash, the wines were of the best quality. After dinner the chairman, Mr. W. H. Harvey, propose the health of the Queen, which was followed by "God Save the Queen," performed by Messrs. Holtum, Nash, and Maxted. Many other loyal and patriotic toasts followed, interspersed with glees. Previous to the meeting breaking up, it was resolved:- "That the Secretary do convene a special meeting of the members to take into consideration the propriety of petitioning Parliament for the repeal of the malt-tax. A liberal collection was made in aid of the funds of the "Shipwrecked Mariners' Society." From the Kentish Chronicle, 14 April, 1860. T. T. Delasaux, Esq., and a respectable jury, held an inquest at the "Royal Oak Inn," in this parish, on Monday, touching the death of William Henry Trice, a child, who died suddenly on Friday morning. It appeared that the deceased was taken ill at school on Thursday, being seized with purging and vomiting, and he died during the night. From the circumstance that another child had been taken ill in the same way, it was feared that he had been poisoned; but a post mortem examination having been made by Mr. F. H. Sankey, surgeon, at Wingham, it was ascertained that death resulted from natural causes. The jury returned a verdict accordingly. Whitstable Times and Herne Bay Herald, 22 January 1870. On Tuesday Last the tenants on the Fredville estate with a few of their friends, enjoyed their annual day's rabbit shooting in Frogham Wood, by the kindness of Charles J. Plumptre, Esq., of Fredville Park, in this parish. After a most excellent day's sport the friends adjourned to the "Royal Oak Inn," and partook of a most sumptuous dinner, capitally supplied by the worthy hostess in a style that reflected great credit on her, and gave general satisfaction. The rest of the evening was spent in songs, toasts, &c.
From the Dover Express and East Kent News, Friday, 31 October 1958. 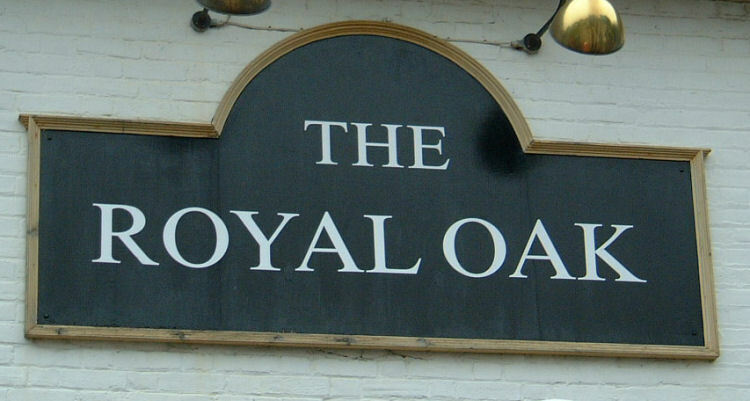 A quantity of money, believed to be over £100, was stolen from the Royal Oak, Nonington, which was burgled in the early hours of Saturday morning. The licensee is Mr. Charles Kerr. From the Dover Mercury, 1 November 2001. Haven created from pub's watery mess. WATER making a mess outside a pub has been put to better use with the creation of a village pond. Experts from Southern Water moved into Nonington and set to work draining the area outside the Royal Oak. They teamed up with members of the parish council and villagers to dig the pond on a former coalfield. "There was a lot of run-off water from the roads and fields collecting outside the pub, making the area messy," explained volunteer training officer Mike Phillips. "It was decided to dig the pond as a solution. The project has really drawn the community together and the pond will hopefully become a haven for wildlife. "But there is more planting to do and we shall invite pond wardens from all over Kent to a planting task day in the spring." 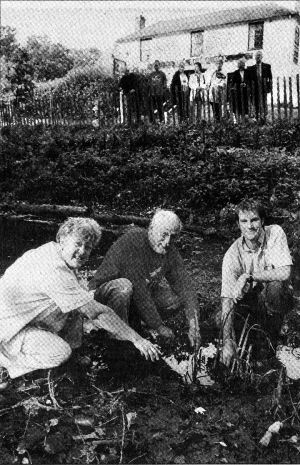 The photo above shows, pond warden Jail Gambrell (from left); BTCV county manager Peter Waite and Southern Water ecologist Mike Frost at Nonington pond. The pub closed for a short period in 2008, but I am glad to say it is now open again (June 2011). Latest news 17 November 2012, the pub appears to be for sale, but may be a private sale. News received June 2013 says that it has been sold and is being refurbished heavily. ADAMS Luke (Son & daughter of above) ran pub for 6 months.